Rita L. Kroon, 93, formerly of Greene, passed away on Saturday, February 2, 2019 in Houston TX. She is now reunited with her husband, Anthony J. Kroon Sr. in God’s grace. She is survived by her sister, Janet Risi; brother, John Lawrence; her children, Susan Estes and John, Anthony Kroon Jr. and Anne, Lawrence Kroon Sr. and Diane, Kathryn Wulfers-Kroon and Lance; 9 grandchildren and 2 great grandchildren. She loved to be surrounded by her children and her sugar cookies (grandchildren and great-grandchildren). Rita liked to volunteer at her church The Immaculate Conception in Greene, Brothers Keepers and other community needs. 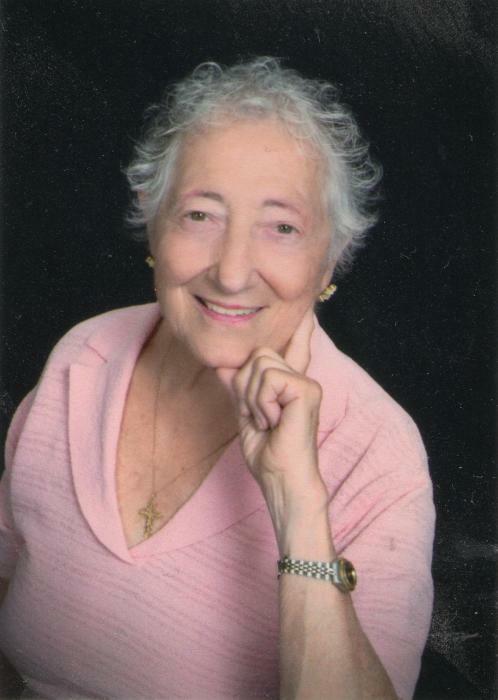 She was an avid card player and talented knitter, A funeral mass will be held 9:30am Saturday, April 27, 2019 at Immaculate Conception Church in Greene. In lieu of flowers, donations can be made to St. Jude’s Hospital at www.stjude.org or to the Greene Emergency Squad 30 Birdsall Street Greene, New York 13778. Condolences may be sent to the family at www.rootfh.com. There's still time to send flowers to the Funeral Mass at the Immaculate Conception Church at 9:30 AM on April 27, 2019.